The recipe was straight forward enough. Simple ingredients and even simpler instructions. And it’s a fast little recipe! Ms. Crocker would certainly recommend a hostess make these up in a pinch. But the broiler did me in. I followed that recipe to a tee but learned the hard way that 2 minutes under a broiler can be a lifetime of regret for some projects. 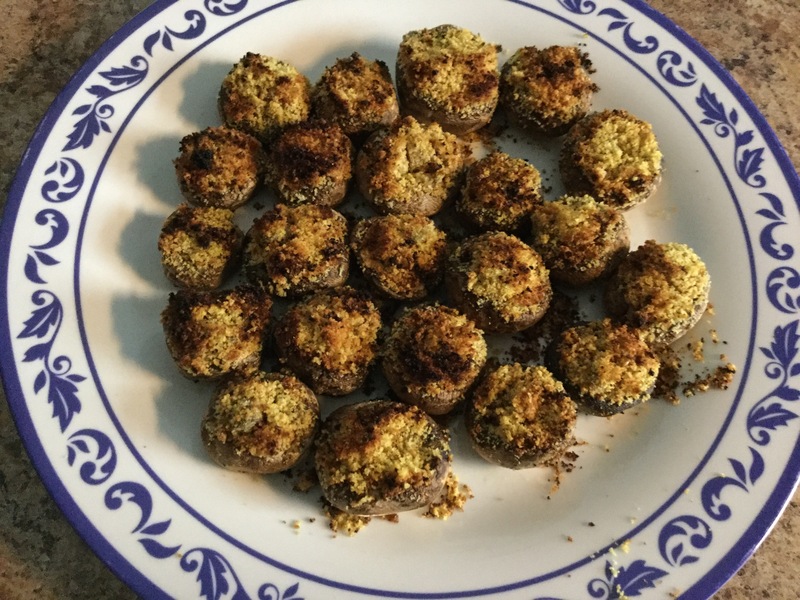 My little mushrooms came out a bit scorched. No matter! Being the ever resourceful hostess that I am, I scraped off the burned bits and hoped the family wouldn’t notice. They did. So did I. The overall result wasn’t bad, just boring. No real flavor and that includes the burned bread crumb taste I was shooting for. 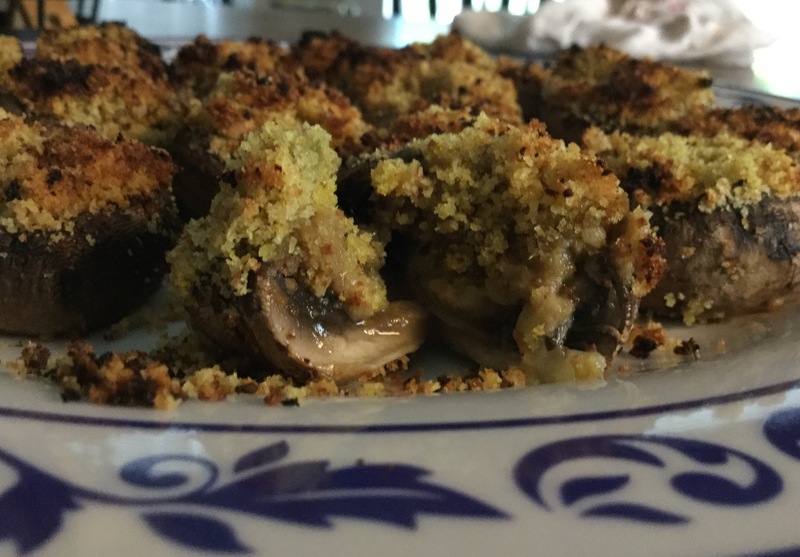 It was a bit like eating damp breadcrumbs hosted by a sad and unhealthy mushroom. I suspect that when Ms. Crocker came up with this one she was certain that the guests would be well and truly toasted and not notice the lack of flavor. Or the weird texture. Would I make these again? Maybe on a dare, but not voluntarily. Next up, we’ll explore the world of desserts Ms. Crocker recommends as well as tips when guests are over for coffee and dessert only.